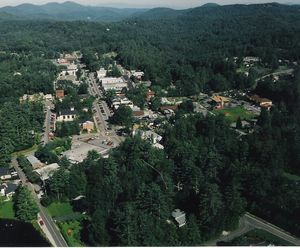 Get to know a neighborhood first when buying Highlands NC real estate. Knowing where you want to live is an important part of the buying process. While our mountain area is spectacular in every way it is true that different communities offer different amenities. Where one buyer is looking for a gated community another is looking for an in-town experience. Understanding what you are looking for can make your Highlands NC property search an easier one. A buyer should have a list of wants and needs when starting a home search. This might include the number of bedrooms, the number of bathrooms, an office, a garage, and perhaps a fenced yard. This list should also include location. Are you looking for a club environment? What amenities would you like to see? Would you like to be around primarily retirees? Or perhaps families with young children? Your Highlands NC REALTOR will help you get to know the different neighborhoods and locations that make up the Highlands Plateau. Buying a homes a big investment. As such doing your homework is essential. The more you know about the Highlands NC area the more productive your search will be. Take the time to consider your wants and needs in a home. This will help ensure that your list of homes to view represents a reasonable collection of viable properties. Contact our team at Berkshire Hathaway HomeServices Meadows Mountain Realty today to learn more about buying a home in Highlands NC. We welcome the opportunity to update you on current market conditions while walking you through the buying process. Let our knowledge and experience serve as your guide to buying Highlands NC real estate. Click here to read “Why It’s So Important To Get The 411 On A Neighborhood Before Buying A Home” from Realty Times.